“Boycotts are as American as apple pie,” says Shannon Coulter, calling it a tradition that started with the Boston Tea Party in 1773. Inspired by that heritage and motivated by her outrage over Donald Trump’s political ascendance, the digital strategist launched her own boycott, #GrabYourWallet, on October 11, 2016. What began as a spreadsheet of companies connected to the Trump family has grown into an international campaign that’s already claiming victories, such as Nordstrom, Kmart, and Sears dropping Trump family products within the last week. Coulter’s project is a prime example of how boycotts have changed radically in the Trump era—both in aims and methods. They are moving away from targeted campaigns with specific demands—desegregate buses, end sweatshop labor—to acts of political rebellion: Repudiate Trump, defund Breitbart News. Changes in party affiliation and media consumption already underway for a decade have been supercharged by the unprecedented arrival of a president who is also a political neophyte and media personality. With a fiercely divided country capable of a hair-trigger response through social media, Trump’s rise has led to these five new phenomena in economic protest. Presidents have always had the bully pulpit, but Trump takes it to a new level with his pop culture celebrity and Twitter virtuosity. Going straight to social media, Trump can make bold claims and pronouncements that would never be acceptable in an Oval Office speech or State of the Union address. “What we’re seeing now is politicians calling for boycotts, which we have not historically seen outside of perhaps the Civil Rights movement,” says University of Texas at Austin professor Tim Werner, who specializes in corporate social responsibility and government policy. Trump started as a candidate in July 2015, urging people to boycott Macy’s after the retailer dumped his brand of shirts and ties because of his incendiary claim about “Mexican rapists.” Now as a president, he can set his followers in motion with just a tweet, as he did when Nordstrom last week dropped Ivanka Trump’s fashion line. “He didn’t outright call for a boycott, but Trump supporters are calling for a boycott of Nordstrom precisely because of this call to arms,” says Brayden King, a professor at Northwestern University who studies how activism affects corporations. The Trump-inspired boycotts haven’t had a financial impact; but boycotts almost never do, say King and Werner. The main goal is to generate publicity, which Trump certainly does. As she leads her brand into its next stage, Ivanka reveals how she’s navigating the drama around her father’s presidential campaign. Ivanka became a bigger target because of how she reacted to the tapes, says Coulter. “After she not only went back out on the campaign trail but went back full-bore, I think that [people] were less willing to cut her that slack,” she says. Major retailers that have dropped Ivanka’s and other Trump family brands tend to say it’s a business decision due to poor sales, but it’s pretty clear that the boycott helped turn off potential customers. Nordstrom is just the most prominent on an ever-growing list including Nordstrom Rack, Bellacor, Jet, Kmart, Neiman Marcus, Rue La La, Sears, Shoes.com, and Zulify. There are also apps, unaffiliated with #GrabYourWallet, that list companies to boycott. “I think it would be wildly unrealistic of me to expect large, publicly traded retailers to attribute their actions to the boycott,” says Coulter. 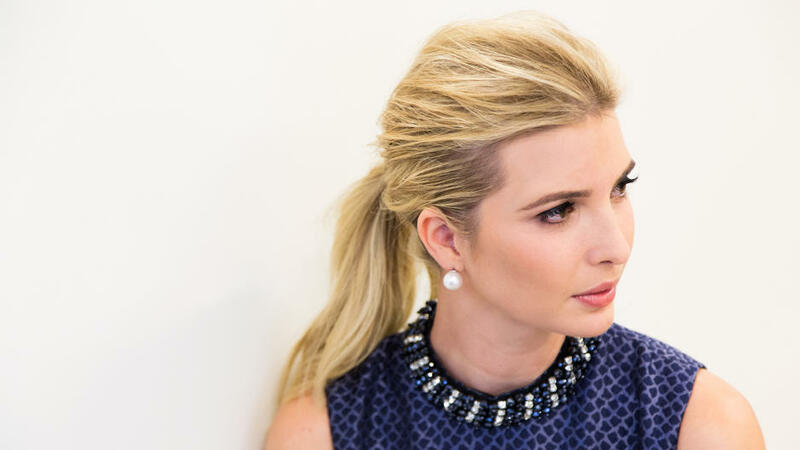 “However, I have absolutely no doubt that the boycott was instrumental in their decision to drop Trump products.” The popularity of the Ivanka Trump brand has been plummeting at Nordstrom since October, reports the Wall Street Journal. “Maybe this is the one time when consumers are so politically polarized that it actually is affecting every choice that they make,” says King. Boycotts used to include specific demands, like for Nike to improve labor conditions; and about a quarter of them create enough pressure for the company to make concessions, says Werner. Today’s boycotts, on the left and the right, instead are often political statements. There is very little the target can do to please its antagonists, other than to pack up and go home. Sleeping Giants is closing in on 1,000 companies to pull advertising from Breitbart. Sleeping Giants was inspired by a boycott project called “Stop Funding Hate,” which targets advertisers in British tabloids that publish race-baiting articles. Both organizations now expanded outside their home countries, to places like Austria, New Zealand, and Switzerland. Already hammering at its advertising, Breitbart foes are now going after its online store, powered by e-commerce platform Shopify. On February 8, Shopify’s CEO, Tobias Lütke, published a post on Medium saying that, for reasons of free speech, he was rejecting calls to cut ties with Breitbart. Now Shopify itself may be a boycott target, with pressure from activists groups like petition site SumOfUs. “We are looking into reaching out to Shopify employees and also companies that do business with it,” says SumOfUs lead campaign strategist Emma Pullman in an email. “The #GrabYourWallet community is very happy to use the platform we’ve built to help shine a light on the fact that Shopify powers the Breitbart store and to inspire them to do otherwise,” writes Shannon Coulter in an email. The internet accelerates everything, and the speed it’s brought to boycotts has been stunning—especially in the #DeleteUber campaign. But the media saturation that led to success in the Uber campaign may not bode well for other boycotts. Uber CEO Travis Kalanick angered Trump opponents by joining the president’s Strategic and Policy Forum. Then on January 28, Uber made a temporary change in rates that people saw as undercutting an airport taxi strike supporting protests against Trump’s travel ban. More than 200,000 people ditched the Uber app in protest, reports the Times, and downloads of rival app Lyft surged. On February 2, Kalanick quit the forum. That’s not a success likely to be repeated. Substituting Lyft for Uber was a no-brainer for activists. “There’s no real trade-off between the two services, not to mention the drivers are the same people,” says Brayden King. Most boycotts are a lot harder and take a lot longer. The efforts to reform Nike’s labor practices began in the 1990s and took years to get the company to implement changes. Will activists be able to stay focused that long, when other boycotts, also launched at lightning speed, keep popping up to compete for attention? “We’re just overrun with boycotts at the moment,” says King.